If you have difficulty finding gift ideas for the pilot or aviation enthusiast in your life, these suggestions should satisfy pilots, flight instructors, aircraft owners, and even plain old fans of flight. Gift ideas can range from the fun and decorative to the essential tools and gadgets pilots need to have with them in the cockpit. Fans of flight may enjoy framed pictures or paintings of famous aircraft, while pilots always can use technology and other tools essential to their profession. A good travel bag is a must-have for any pilot, especially commercial airline pilots who travel constantly. Pilots also can get good use out of a quality kneeboard. Since their workspace is the cockpit, pilots need something that can serve as a writing surface or a place to set their tablets or other items on hand. Other necessities include items like pen lights and flight-specific toolkits. Computer tablets are among the most common tools that pilots use, so any accessories such as cases, chargers, or gift cards for necessary flight-related apps would be appreciated. Another piece of equipment your pilot might like is a new headset. As is the case with most technology, headsets can become out of date very quickly, so if your pilot is still using the same headset he had when he was in flight school, consider buying him a brand-new model. Professional pilots are sometimes difficult to buy presents for. They usually have their necessary supplies already, but some clothing and accessories always are appreciated. 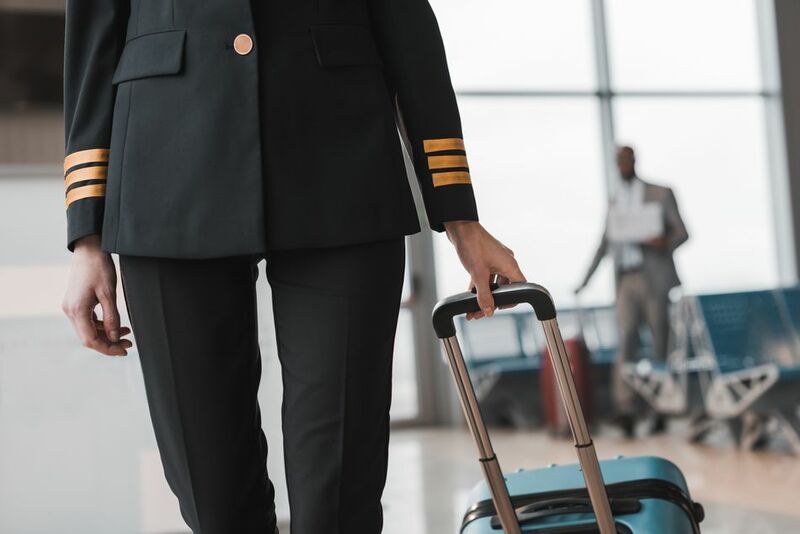 If you're shopping for a professional pilot, she likely needs clothing that meets her uniform requirement, so consider giving a gift card to a store that sells appropriate clothing items. Aviator sunglasses and flying gloves also are gifts pilots can never have enough of. Sunglasses and gloves can wear out or get lost very easily, so an extra pair is good to have. Whether you are buying a gift for a pilot or for someone who just loves airplanes and the history of flight, you have many available choices. Art and antiques related to aviation can be a great idea. Many old airplane parts have been converted into decorative items that can hang on a wall or serve as a conversation piece on a mantle or bookshelf. Paintings or framed photos related to the history of flight also make great gifts. Popular images can range from the Wright brothers' first planes to record-setting pilots like Chuck Yeager to images of the Blue Angels or the Thunderbirds. Model airplanes and remote-controlled aircrafts have been popular with children and adults for generations, and gift options here can serve almost any budget. Popular model airplanes often are replicas of famous airplanes or of airplanes from certain eras. Inexpensive models often can be found for less than $20. A fun gift idea even could include a model of something like Snoopy flying on his "Sopwith Camel." If you're shopping for someone who wants more than a model to rest on a shelf, consider a remote-controlled airplane. Technology for these expensive toys is far better than it was even just a generation ago, and they can provide hours of fun.